"The great Irish writer, who died in 2016 at the age of 88, captured turning points in individual lives with effective understatement. This seemingly quiet but ultimately volcanic collection is his final gift to us, and it is filled with action sprung from human feeling." With a career that spanned more than half a century, William Trevor is regarded as one of the best writers of short stories in the English language. Now, in Last Stories, the master storyteller delivers ten exquisitely rendered tales—nine of which have never been published in book form--that illuminate the human condition and will surely linger in the reader's mind long after closing the book. Subtle yet powerful, Trevor gives us insights into the lives of ordinary people. We encounter a tutor and his pupil, whose lives are thrown into turmoil when they meet again years later; a young girl who discovers the mother she believed dead is alive and well; and a piano-teacher who accepts her pupil's theft in exchange for his beautiful music. 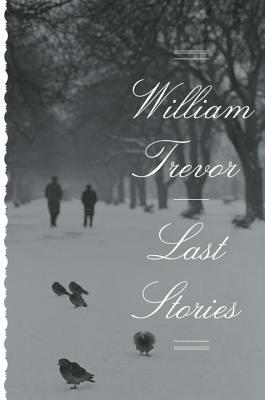 This final and special collection is a gift to lovers of literature and Trevor's many admirers, and affirms his place as one of the world's greatest storytellers. William Trevor was born in Mitchelstown, County Cork, in 1928 and spent his childhood in provincial Ireland. He studied at Trinity College, Dublin. He is the author of fourteen novels and thirteen collections of short stories, and he has won many prizes. His short stories appeared regularly in The New Yorker, and his Collected Stories was chosen by the editors of The New York Times Book Review as a Best Book of the Year. His novels include Love and Summer, nominated for the Man Booker Prize and selected as a New York Times Notable Book of the Year; The Story of Lucy Gault, short-listed for the Man Booker Prize, the Whitbread Fiction Prize, and also selected as a New York Times Notable Book of the Year; and Death in Summer, a New York Times bestseller and Notable Book of the Year.